The selfie culture has become a worldwide phenomenon over the last decade, fueled by a narcissistic need for people to share every second of their life on social media. Coupled with a sense of self-entitlement and a complete lack of awareness, this has led to increasingly irresponsible travel behavior in the form of animal selfies, which contribute to wildlife exploitation and animal abuse on a global scale. Far too many travelers setting off on their round-the-world adventures have dreams of getting their picture taken with a cute baby sloth or a panda. People will often venture to a specific destination just to get a selfie with a tiger or elephant, filling their social media feed with pictures of how awesome they are to impress their friends and family back home. They see their photo of them straddling a grown tiger or hugging a cute little koala bear as evidence of their love for animals and proof of their amazing adventures. And of course making friends jealous via Facebook or Instagram can be a massive boost to the ego. But at what cost? Here, we’ll take a look at the rise of animal selfies and the myriad ways in which they contribute to the abuse and exploitation of wildlife. The idea of using animals as photo props is not a new thing. Ever since tourists began wanting unique souvenirs of their trips abroad, the profit-driven travel industry has gladly supplied opportunities to take animal selfies. “Touts”– those bold, overly aggressive people who pester you to buy their goods and services– can be found in tourist markets, nightclub strips, and resorts all around the world. Whether it’s chained Vervet Monkeys in the Caribbean, charmed King Cobras in India, or drugged cats at Thailand’s Tiger Temple, their are ample animal selfie opportunities available nearly everywhere you travel. The practice has become increasingly widespread over the last few decades, and it’s not limited to one-off photo ops. Popular wildlife activities such as elephant trekking and swimming with dolphins are specifically aimed at tourists wanting animal selfies. In every case, the traveler’s desire for an impressive Facebook photo is prioritized over the concern for the health and welfare of the animals. 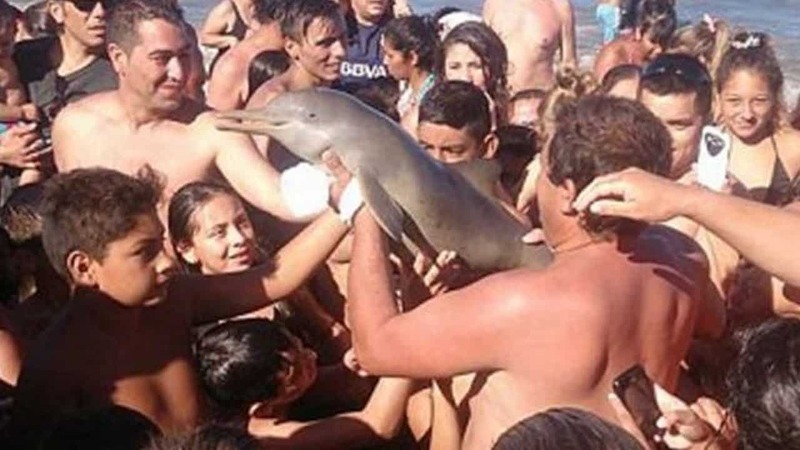 Of course, most tourists do this more out of ignorance than malice, and many genuinely do love the animals they want to have their photo taken with. But the fact that this self-indulgent need for a memorable souvenir trumps other concerns needs to be addressed by the wildlife tourism industry. And travelers need to be better educated about the issues involved with their animal selfies. Most tourists simply don’t know about the abhorrent conditions many of these animals are kept in, and the terrible treatment they endure in order to provide that special souvenir photo. Thailand’s Tiger Temple is set up to allow visitors to have their photo taken with Tigers. But the popular tourist attraction has been the source of controversy for a decade now. Respected NGOs such as Care For The Wild International and National Geographic have documented proof of illegal wildlife trafficking, illegal forced breeding (to supply of cute cubs), physical abuse, malnutrition and insufficient facilities. Yet, despite myriad campaigns to close the temple, tourists still flock to get their animal selfies taken there. Many reports claim that Tiger Temple drugs its animals with tranquilizers to make them more pliant. 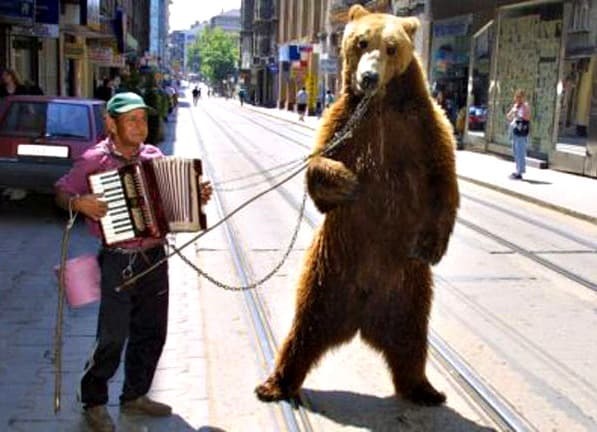 Other large, potentially dangerous animals, such as Eastern Europe’s dancing Bears, are put through horrific surgical procedures to defang or declaw them to make these encounters safer for the tourists. Elephant trekking is an increasingly popular industry that uses the promise of amazing animal selfies to make money off tourists. 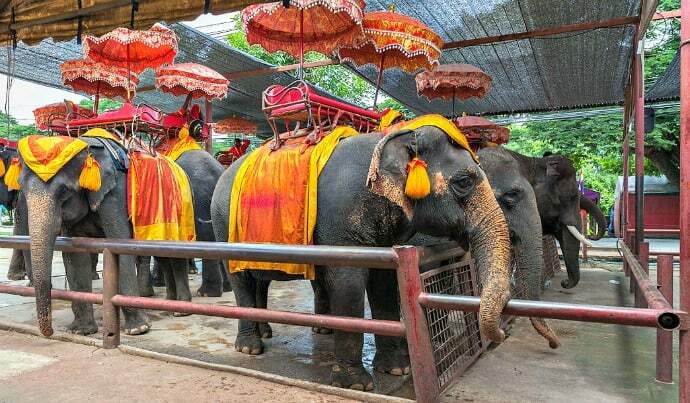 But the torture that these elephants go through in their training (known as the phajaan) is well-documented, as is the physical abuse and long working hours they are forced to endure so that tourists can have a nice ride and a souvenir photo. Dolphins held in inadequate dolphinariums are often forced to perform gruelling daily shows. Then they’re subject to being pawed and even ridden by countless tourists who crave that all-important picture of them cuddling a cute dolphin. The weight of scientific evidence shows that this treatment, not to mention their confinement, is seriously detrimental to the Dolphins’ health and well-being. Even smaller animals such as Koalas or Monkeys, who are often chained up and used for cuddly animal selfies, aren’t immune to this exploitation and abuse. Many of them are subjected to long hours of being constantly manhandled by naive tourists interested in their own experiences. 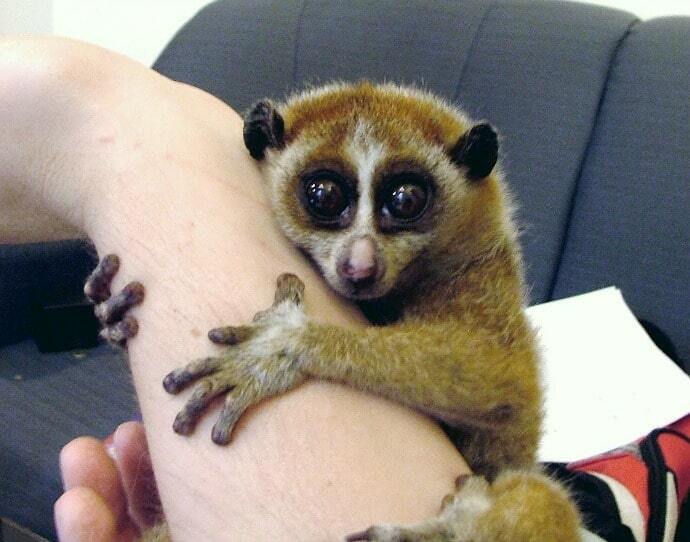 This can obviously be stressful and detrimental to their welfare, especially in the case of the Slow Loris, whose sensitive eyes can suffer physical damage from the bright lights of camera flashes and well-lit tourist areas. 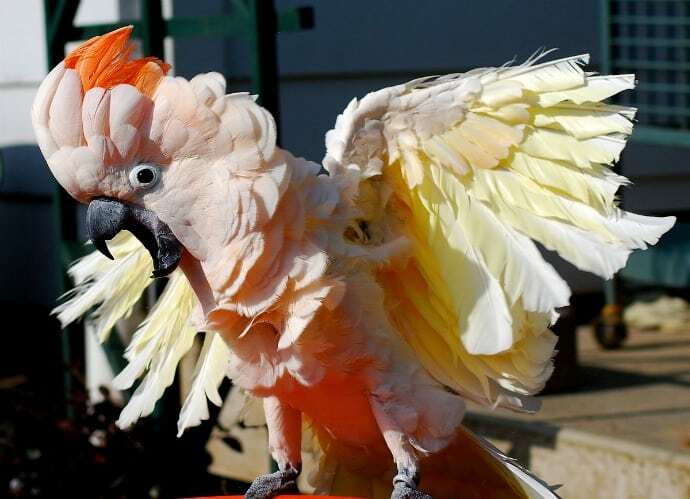 Exotic birds used in the tourist trade often have their wings clipped. 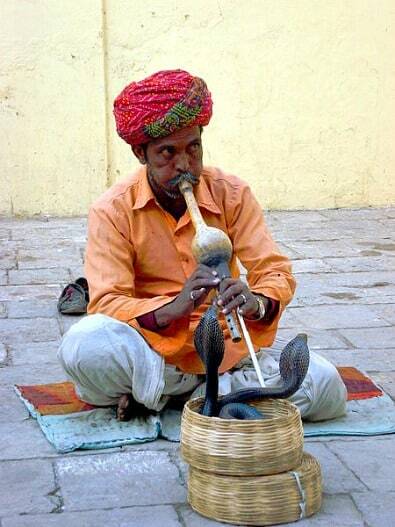 Reptiles and snakes are often milked for their venom. When not being abused and exploited in this way, many of these animals are often kept in small cages that are insufficient for their needs and have zero enrichment. Many conservation charities have been set up to combat these types of animal abuses. 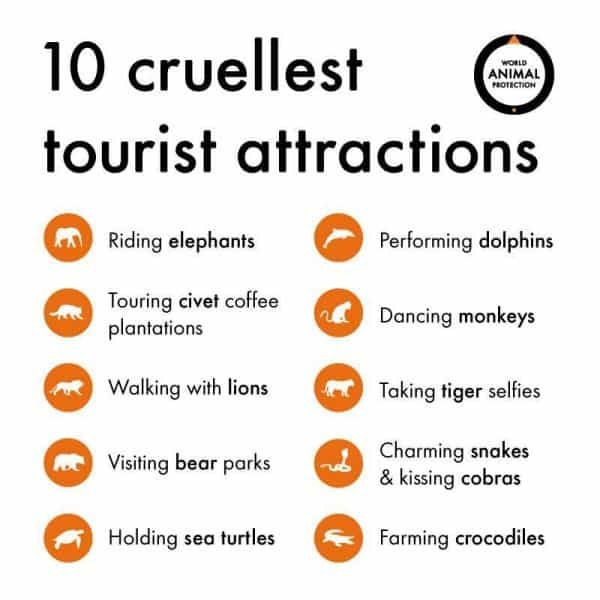 The UK Federation of Tour Operators, in collaboration with Born Free, has published a preferred code of practice for the travel industry, suggesting that tour companies avoid attractions encouraging animal selfies. And yet still the practice is increasingly widespread because tourists flock to have their photos taken with animals. This is a huge problem: These conservation groups aren’t just combating companies who use wildlife exploitation for profit, but the rising tourist demand that drives this market. Even more problematic, many of the animals used in this industry are poached illegally from the wild. Sometimes baby animals are ripped away from their mothers, who are then killed because they aren’t as valuable. The process becomes a vicious cycle to ensure a constant supply of cute baby animals. Despite what some selfish travelers may think, being on holiday does not in any way excuse irresponsible behavior. As valuable as a once-in-a-lifetime travel experience may be, we cannot allow our love of animal selfies to outweigh ethical and sustainable tourism practices. We must consider the consequences of our actions, including the tourist attractions at which we choose to spend our money. But the wish to see wildlife up close and take an animal selfie is not inherently a bad thing. There are many good wildlife conservation attractions around the world that allow visitors to see wildlife up close, interacting with them and even having a photo taken with them in some cases. There are times where it is totally acceptable to partake in wildlife tourism and take an animal selfie. 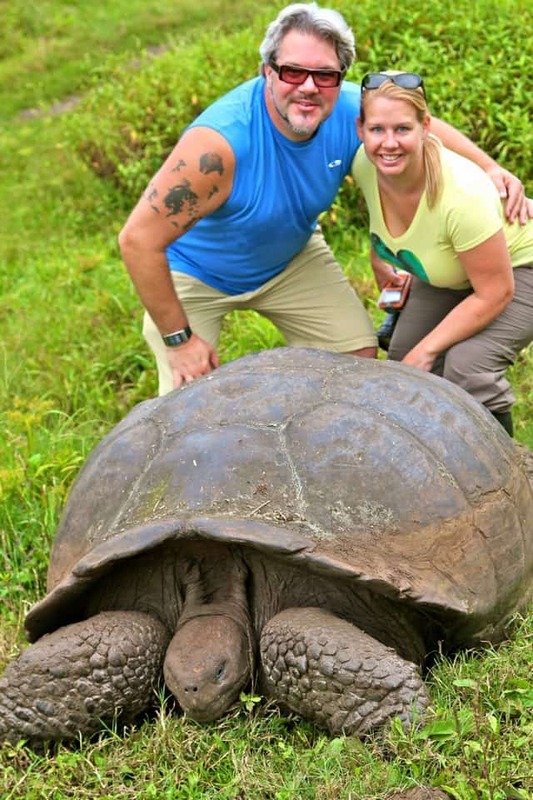 With Galapagos Islands animals, for instance, regulations say you must be at least six feet away from wildlife at all time. At Thailand’s Elephant Nature Park, you can volunteer and get a photo of yourself bathing rescued, orphaned, and injured Asian Elephants by hand. There are countless zoos that operate on an ethical basis, allowing for photos to be taken with animals in the background. There are numerous wildlife sanctuaries and rehabilitation centers that let tourists fulfill their need for animal selfies. But they do so in a responsible way that ensures the animals’ welfare and supports wider conservation efforts for the species as a whole. The big difference is that these types of destinations and attractions put the needs of the animal first, and the needs of tourists are a distant second. The visitor’s desire for a once-in-a-lifetime experience and photo is treated as far less important than the well-being of the wildlife. Current best practices in wildlife tourism encourage visitors to be as hands-off and as unobtrusive as possible. If you’re at a wildlife sanctuary or on safari and the animal happens to be there, by all means take as many animal selfies as you like! But whatever you do, don’t give vendors at a local market cash to pose with a chained-up monkey or cuddle a lion cub. We, as travelers, need to understand that our egos are not more important than animal welfare. Our self- indulgent need for exclusive experiences and bragging rights on social media should not supersede our common decency and respect for animal rights. The key is for travelers to do their research beforehand. Responsible travelers will only support those facilities which genuinely care for wildlife conservation and welfare. They would never patronize any attraction that exploits animals as photo props. The abuse and exploitation that come with the rise in animal selfies only happen because there’s profit to be made. As soon as travelers stop making this practice profitable, it will end. 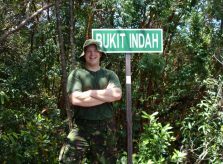 Michael Huxley is a published author from Liverpool, England, and is the founder of Bemused Backpacker, a travel blog devoted to independent, safe and responsible travel. He has degrees from Edge Hill University and Liverpool John Moores University, and is a qualified charge nurse by vocation with a specific interest in emergency nursing and travel medicine. 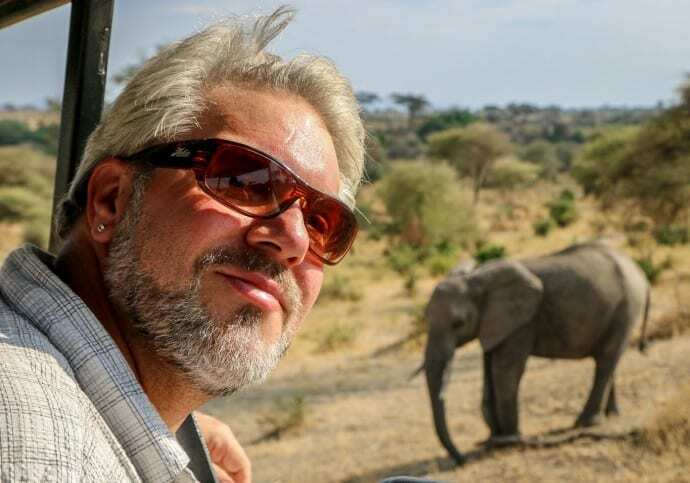 After 15 years of backpacking around the world, Michael is passionate about responsible travel and is a strong advocate for ethical wildlife tourism, and has been featured in the BBC, the Guardian, and other major media. When not travelling, writing, or working, Michael enjoys training in various martial arts and finding new ways to stay fit and healthy. 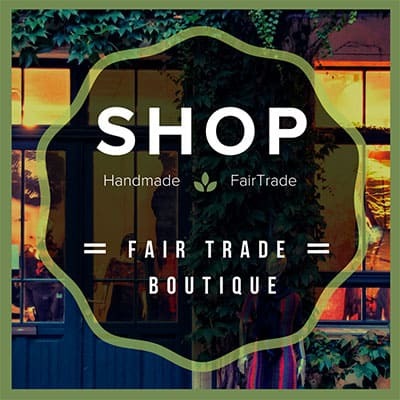 Follow Michael on Facebook, Twitter, and Pinterest.